يقع فندق City Suites، المصمم ليناسب كل الضيوف سواء كانوا من رجال الأعمال أو السياح، في مكان ممتاز في أحد أكثر المناطق تفضيلاً في Tauranga City Center. يمكن من هنا للضيوف الاستمتاع بسهولة الوصول إلى كل ما تقدمه هذه المدينة النابضة بالحياة. كما يمكن الوصول بسهولة إلى City Markets Tauranga, مونماوث ريدوبت, The Cargo Shed. إن الخدمات التي يقدمها City Suites تضمن للنزلاء إقامة مريحة. يقدم الفندق واي فاي مجاني في جميع الغرف, مرافق مخصصة لذوي الاحتياجات الخاصة, واي فاي في المناطق العامة, صف السيارات, التوصيل من وإلى المطار لضمان الراحة القصوى لضيوفه. تتضمن كل غرف النزلاء وسائل الراحة والتسلية المصممة خصيصاً لضمان الراحة القصوى للضيوف. سواء كنت من محبي الرياضة أو كنت تتطلع لتفريغ عناء نهار صعب، ستجد خدمات ذات مستوى عالي بانتظارك كمثل حمام سباحة خارجي. اكتشف مزيجاً ساحراً من الخدمة الاحترافية والخيارات الواسعة من وسائل الراحة والمتعة في City Suites. From the moment you arrive you know that cleaning is a big issue. The lift floor looks like it has not been vacuumed in years. The carpets are tired as are the other fixtures and fittings in the room. By far the worst place we stayed in on our holiday in New Zealand. The place needs a major investment. Whilst always trying to see the good in things this is just a place to avoid. Positives were it was close to shopping and restaurants - not much else. David was very helpful and accomodating. I fell ill during my stay and was grateful when he held off the cleaning team for a day so I could rest. Great stay, location and secure parking. Walking distance to town. I realy have no cons to name about this place, it was well worth my money, in fact for the price i paid, more then worth it and the beds are very comfortable, i slept like a baby! The staff is very professional too. If you are passing trough or staying nearby, i highly recommend this place. When entering the estimate time of a arrival make sure it is not an estimate but the exact time you expect to arrive as that is what is used to determine if reception hours as reception normally closed at 8 PM. Some bonus points is a minibar. It also is perfect for a nights stay but poorly lit at night. 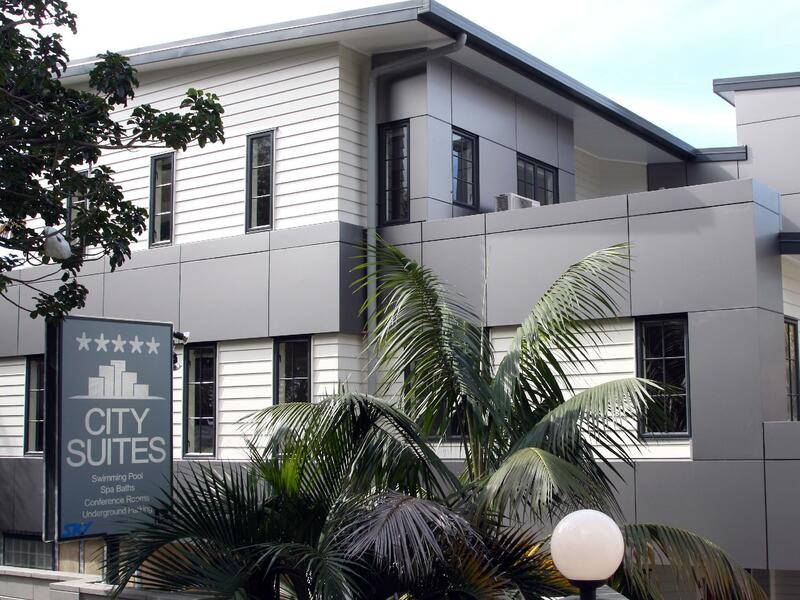 This is great hotel to stay at when visiting Tauranga. It is centrally located, but most of all it is a spacious and comfortable hotel. The bed we had was extremely comfortable, and each morning we woke well rested and ready for the day. There is secure off street parking, which is a bonus. The management are friendly and on the ball. We had a fire alarm go off while we were there, and the management evacuated everyone quickly and efficiently. Luckily there was no damage, just a well cooked steak in one of the upper rooms. This will be our goto accommodation when next we visit family in Tauranga. Brilliant location and friendly staff. Walking distance from Southern Cross station. Good WiFi. Fabric of the hotel is a bit tired though. Carpets need attention/renewal. Could be more roomy if windows could be opened wide. 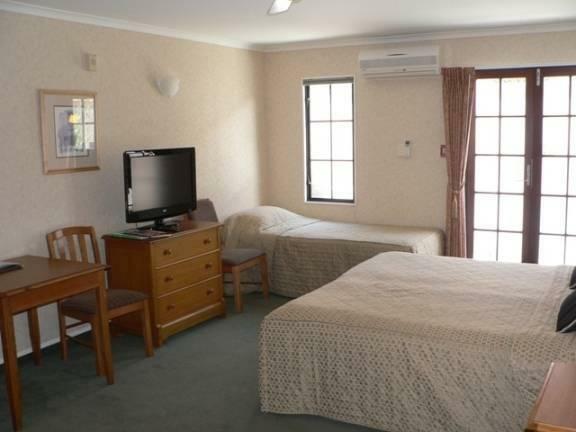 Good location, secure underground parking, good sized room with good facilities. Staff friendly and welcoming. Only con being that the bathroom decor was a bit tired. 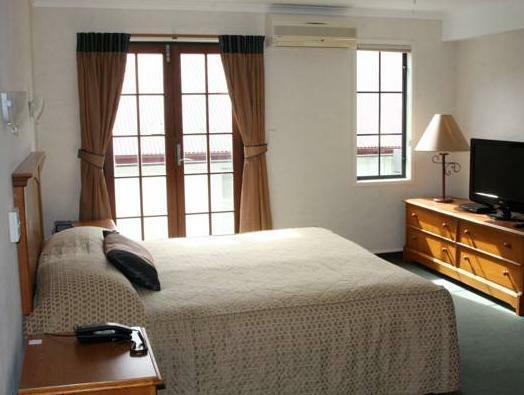 Small but well equipped suite with veranda. Free garage parking us included. Spa bath/shower. Bed was too soft for my comfort (a common issue). Two blocks (down a steep hill) from restaurants and waterfront on the Strand, which has a wonderful playground, spray park, and swimming area. Very old but nice. Staff very friendly. Location is good. I was in Turanga for the World Junior Squash Championships and was looking for a place to stay that was not too far from the town centre. City Suites fitted the bill perfectly. The room was large with a king sized bed. The re was an excellently equipped kitchenette complete with microwave, small fridge, cordless electric kettle, cutlery plates, etc. Free coffee, tea & hot chocolate and a small bottle of milk were provided. The mini bar was well stocked and prices were reasonable, not the usual ripoff prices. My stay was very pleasant. The room was cleaned daily. Getting to the city was easy, a short 10 minute walk got you there. John who manages the hotel is a very nice bloke and very helpful with information about Turanga. The check in and check out process was quick and simple. This is the place I'd stay were I to go back to Turanga! I gave the facilities 3 stars only because i did not have the chance to use the other facilities available such as the secure covered parking, conference room, etc. It's a clean motel with no charm, but if you just want a room then it's perfect. Shame curtains weren't long enough to keep morning light out and the other window had a Venetian blind which is also partially effective. I booked a 1 week stay for business. Friendly staff arranged to leave a key out as I was arriving late. Good car parking under building. Good location in the middle of town. No views. I had asked for a 1 bedroom self contained unit and got a decent sized unit. The living room was large enough with a large TV and Sky channels. The bedroom also had a small tv. The drawbacks were small and niggling. Although clean, the carpet was old, stained and tired. The kitchen was more kitchenette as it only had a small bar fridge and the two burner hot plate had so many warnings written about cooking in the room that I ended up not using it for fear of attracting a fine. Annoying as i enjoy my own cooking and this caused me to leave a fair bit of good unopened food behind. The wardrobe hanging space was in the living room not the bedroom and didn't allow for full length hanging meaning business slacks were left hanging off door frames. The ironing board took up all the space in the wardrobe so this meant it had to live out in the living room for my stay. This is the first unit I have been in that didn't have a laundry - although the reception were generous enough to do a load of washing for me for free - did I say friendly. This isn't a 5 star place and the small kitchenette and lack of laundry probably means it misses out on 4 stars but it would be the best 3 star self contained apartment ever. Really friendly. Happy with the stay. Staff was super friendly and helpful. Loved the unlimited wifi and great cable tv choices. Options for food were the mini bar or a delivery service. As a solo traveller, I prefer to be adjacent to restaurants on The Strand. Decor a bit dated but was very happy with quality of service and general facilities.